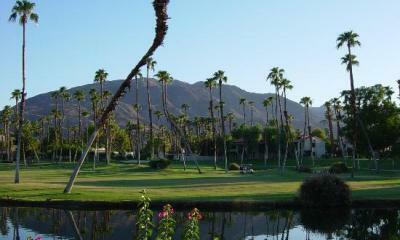 Welcome to Rancho Las Palmas Resort & Spa – An elegant luxury Palm Springs Resort ideally situated only minutes away from fabulous restaurants, shopping, the airport, and of course an endless variety of championshiop golf. 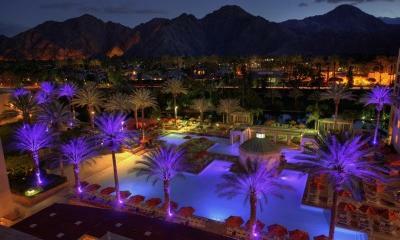 Emerging from a $35 million transformation by KSL Resorts, Rancho Las Palmas is the embodiment of new desert cool. Golfers will find a 27 hole championship golf course on site as well as other fabulous amenties such as a newly rennovated pool complex, full service spa, and bluEmber, the signature restaurant in the heart of the plaza, which exudes the sun drenched charm and relaxed elegance of the Southern California desert. 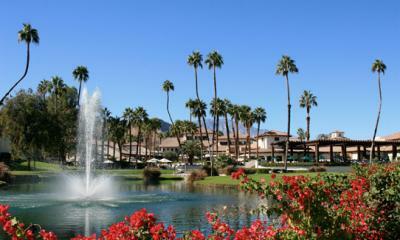 The Rancho Las Palmas Resort is more than capable of hosting your next group golf vacation or corporate golf retreat as it is home to 444 guest rooms and 22 suites – housed in captivating, Spanish-style architecture, where French doors open to private patios and balconies overlook the lushly landscaped grounds. 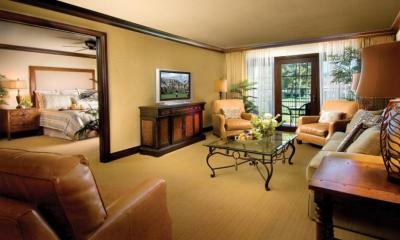 Premium mattresses are draped in plush down comforters, custom duvets and cotton-rich linens. A perfect location, all the luxuries of any top resort, and great golf on your doorstep, the Rancho Las Palmas offers it all - in style!